Nechama Price ’01S, ’06A, ’19BR, the new director of the Stern College Graduate Program for Advanced Talmud Studies (GPATS), has been a professor of Judaic Studies and Bible at Stern College for Women since 2004. 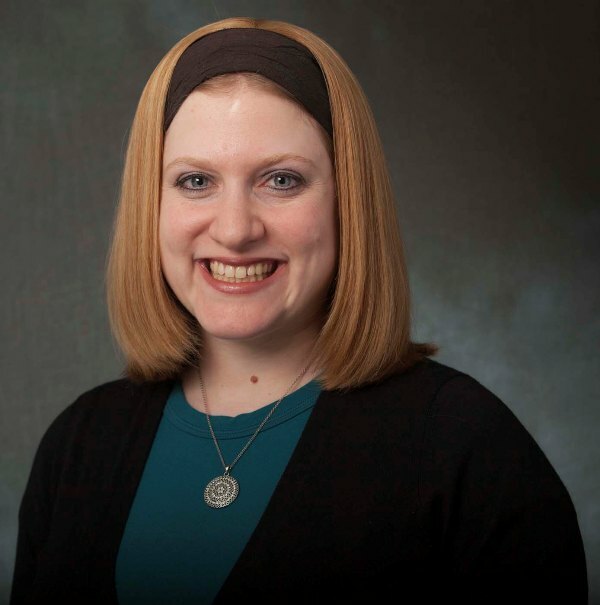 Prior to that, she completed the GPATS program at Stern in 2003, received her Master’s in Jewish Education from the Azrieli Graduate School of Jewish Education and Administration in 2005 and her Master’s in Bible from Bernard Revel Graduate School of Jewish Studies in 2008. She is also a graduate of Nishmat’s Yoetzet Halacha program and is a yoetzet in Englewood, NJ. Since being a student at Stern College, I’ve never really left the campus. After Stern, I studied at Azrieli, Revel and GPATS. Immediately after completing GPATS, Rabbi Ephraim Kanarfogel, the E. Billi Ivry University Professor of Jewish History, Literature and Law and Chair of the Rebecca Ivry Department of Jewish Studies, offered me the opportunity to teach Hilchot Niddah, and learn in the Beit Midrash with Stern women. Four years later, I became a full-time instructor. Each step in this process was an opportunity to learn and grow. I love my students, their excitement for Torah, and the enthusiasm they bring to the classroom. I enjoy developing relationships with them in and outside the classroom. None! I am very happy in my role at Stern, being a Kallah teacher, Yoetzet Halacha for a number of communities in NJ, and now director of GPATS. However, I’ve learned that you never know what new opportunities will come your way. 4. What is your goal as a Jewish scholar and what is your goal as a teacher? My goal is to spread the love of Torah to as many people as possible. More specifically, my goal is to inspire women to learn Torah and empower them in their shemirat hamitzvot. 5.What would your current and former YU students be surprised to learn about you? I never learned Gemara until after high school. 6. How do you plan to advance women’s learning as the new director of GPATS? I am so excited to be able to give back to the program that transformed my life. My GPATS experience developed my skills in Gemara and Halacha, while enabling me to grow in understanding the halachic process and reinforcing within me an unceasing appreciation for Chazal. My new role will allow me to facilitate similar, and enhanced, opportunities for a new generation of women to engage with Gemara and Halacha after their college years, to develop women who are role models for their peers, and to help form women leaders who can better serve on behalf of Am Yisrael.